Looking to buy a Windows PC and also a Xbox 360? How about owning both for the price of one? Microsoft have announced a promotional deal for students in United States of America where a complimentary Xbox 360 4GB slim game console worth $199.99 is given with the purchase of a Windows 7 PC at price of $699 or more. Microsoft published the promotion on its Windows Experience blog, and states any Windows 7 PC, including desktop, notebook computer, laptop or even netbook (though its price unlikely to exceed $699) is eligible for the free Xbox 360 4GB console at no cost and no string attached. Microsoft has provided some recommendation to make the choice easier – HP Pavillion DM4, a ultra-thin (at 1″) and ultra light laptop, Dell Inspiron 14r, or the Samsung Series 9, a computer that has been described as looking like it is about to rocket off the runway. Microsoft is attacking two fronts with the promotion. Firstly, Sony PlayStation 3 (PS3) which gathered all the bad publicity lately due to its online gaming platform, PlayStation Network (PSN) was down after been hacked. Secondly, the promo is widely believe to sweeten the deal for students to purchase a Windows PC over Macintosh system (i.e. iMac or MacBook running Mac OS X), which started to gain market share and popularity in recent years. The early days computing experience of a person will likely shape his or her preference or choice in future. However, do note that the promotion only valid on participating retailers. Students can purchase online through Dell.com, HP.com or Microsoft Store if they have a .edu email address, else they can bring Student ID to Best Buy or any Microsoft Store retail location to purchase a computer. 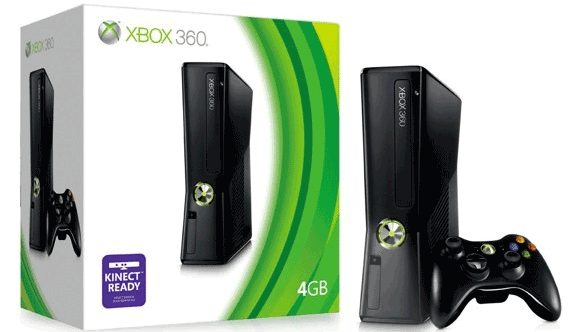 The free Xbox 360 4GB with Windows 7 PC purchase program starts from May 22, 2011 in the US and ends at September 3, 2011 or while stocks last. The promotion also available for Canadian or French students at a later date. For Canada, the free Xbox 360 4GB offer only valid for new select HP PC with Windows 7 which priced at CAD $599 or more and purchased at participating Best Buy or Future Shop locations across Canada starting from May 27, 2011.